Pioneers in the industry, we offer Letter Patches such as 3D Letters, Staggered Patches, Felt Letters, Interlocking Patches, Letters With Activity Details, Letters With Embroidery and many more items from India. 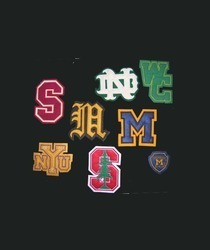 These patches are easily stitched on the garments. We are engaged in manufacturing and supplying an extensive range of 3d Patch Chenille. Our entire range of the patches includes different colour combinations and a plethora of designs. Our patches are easily and conveniently applied on any kind of clothes and fabrics. 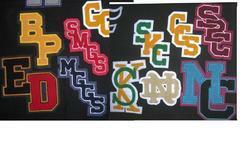 We offer these patches at competitive prices. We are having expertise in manufacturing and supplying a variety of Interlocking Patches. 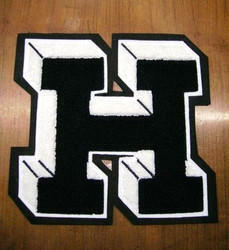 These patches are highly attractive and come up in number of colors and patterns. 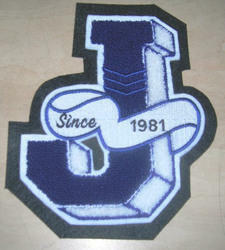 Made of high quality material our patches are highly appreciated by our clients. 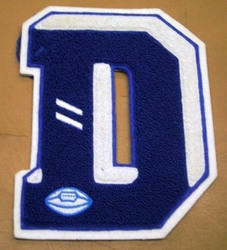 We are engaged in manufacturing and supplying an extensive range of 3D letterman jacket Chenille Patches. Our entire range of these patches includes different colour combinations and a plethora of designs. Our patches are easily and conveniently applied on any kind of clothes and fabrics. We offer these at industry leading prices to our customers. We are able to gain immense expertise in delivering Letters With academic details at clients' premises. The offered range is crafted using premium grade fabrics, procured from dependable vendors of the market. The chest Patch with a fashionable design can be used on the front portion of the apparel. High quality material is used with fine embroidery. In a bright orange colour, the patch makes the clothing more exciting and attractive. 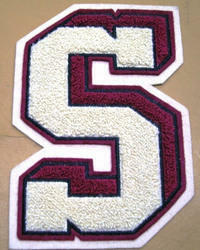 We are an eminent name, which is engaged in delivering Old English Letter Patches to honorable clients. 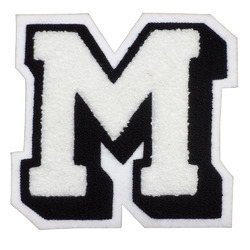 The offered range of old English letter patches is made utilizing high grade fabrics and modern machinery in strict compliance with the international quality standards. Moreover, the offered range of old English letter patches is ideal for representing different information and specifications in an artistic way.